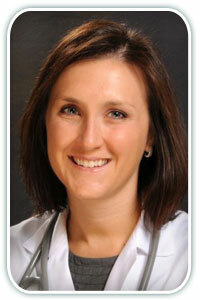 Lindsay LePage is a board certified Physician Assistant with a Masters of Medical Science. She received her undergraduate degree in Exercise Science from the University of Georgia. She then attended Emory University’s Physician Assistant program where she graduated with Highest Honors. Lindsay is a member of the Georgia Associations Physicians. Lindsay joined North Atlanta Primary Care in 2007. She lives in Peachtree Corners with her husband Chris,and her two children. She enjoys playing tennis and gardening in her free time. Also, Lindsay loves cheering on the Georgia Bulldogs and attending the football games when she is able to.